Do you have to draw your eyebrows everyday? Does your brow pencil disappear towards evening and you're just sick of how you can't touch your eyebrows without the colour fading? Then this product is for you!! I am absolutely in loooove with it and would highly recommend it for everyone! I got this all the way from Korea through Althea. Voila! 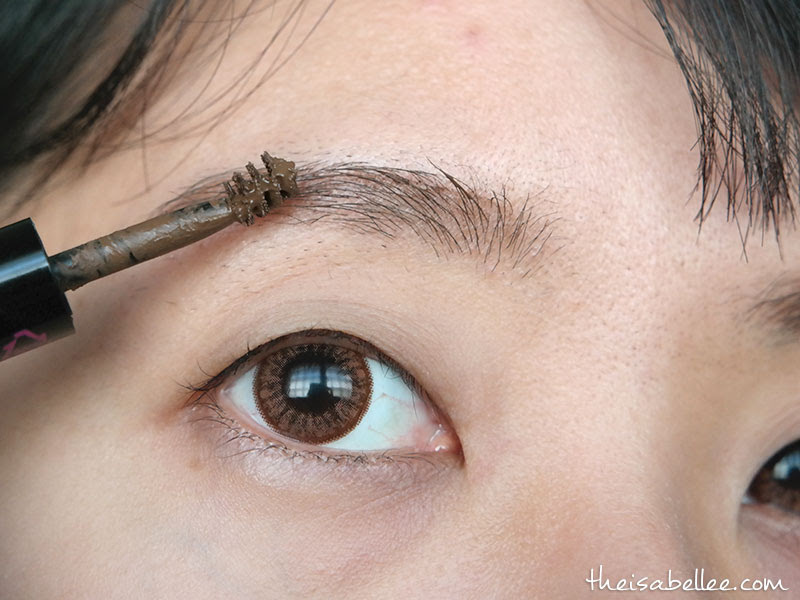 I have really thin and sparse brows so I need to fill them in every. single. day. I don't usually wear face makeup out but eyebrows are a must! There are 2 shades so I got the darker one - Dark Brown. The other shade is really light. 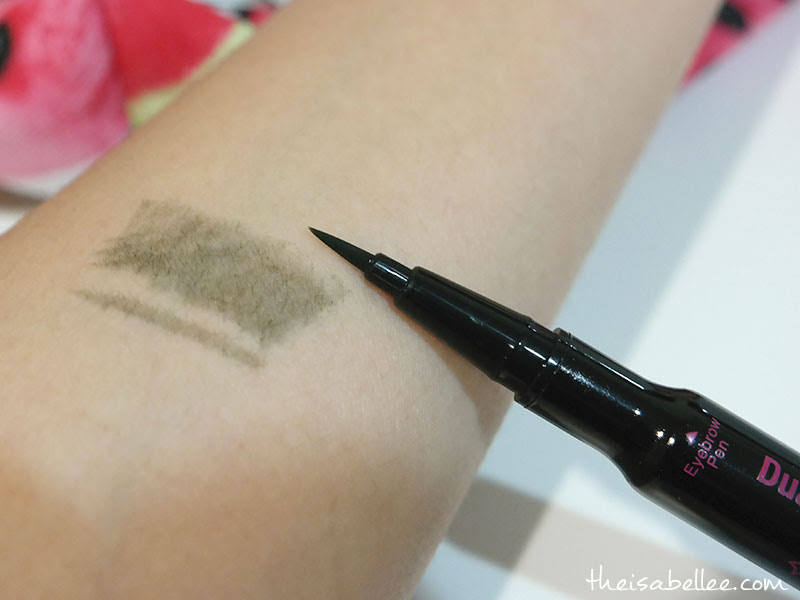 The Eyebrow Tint Pen is shaped like an eyeliner which is awesome because you can draw fine lines to look like brow hair and press harder to fill in. The colour looks ashy here but don't let that scare you! It will look different after it has tinted your skin. Take note that this is NOT the peel off kind which I'm terrified of using as I'm afraid they'll pull my brow hairs off. The Eyebrowcara side is meant to be used as makeup in case you want to make your brow hair match the colour or to fill in any gaps. I know there is a big colour difference but you will understand later. 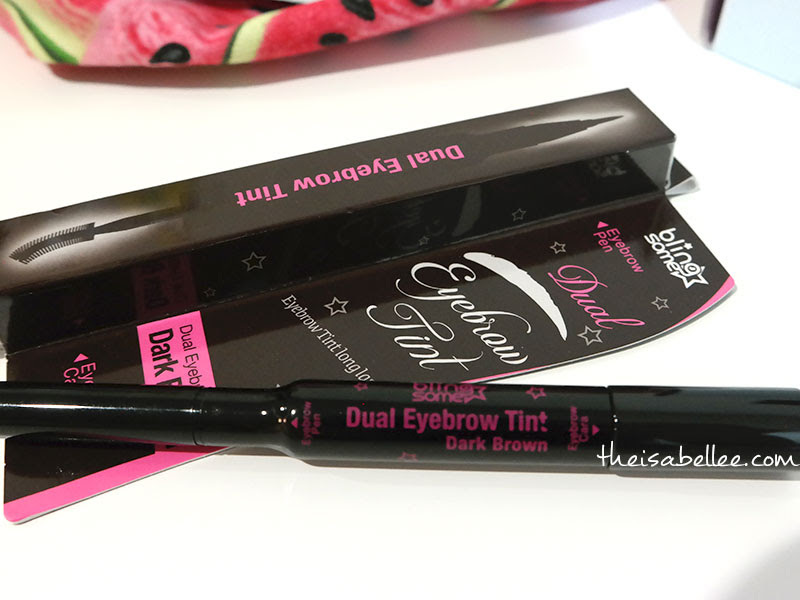 I have tried other eyebrow tints in the market and absolutely hated them. The colour did not even come out, the colour was super weird (green eyebrows, anyone?) or it disappeared after 1 wash. So I was super impressed when it lasted 3 days. The website said up to 7 days but obviously that depends on how oily your skin is and how often you wash your face. 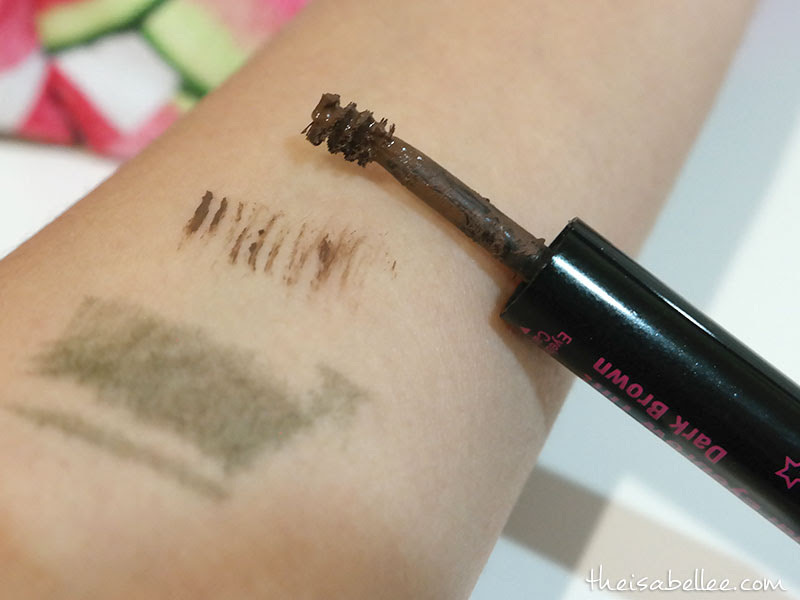 The swatch on my arm lasted a few days longer than on my face. I have a really oily T zone and normal eyebrow pens only last from 9am until 4pm before they become half assed. Freshly applied - You are supposed to apply this overnight but for photo's sake I applied it in day time. Make sure you have already washed and dried your face but not applied any skincare yet as it DOES NOT adhere well onto wet or oily skin. Use liberally. Do not be afraid of the dark colour. You will be able to wipe it off immediately if you made a mistake. It takes 6 hours to tint your skin. 24 hours - NO WAY! 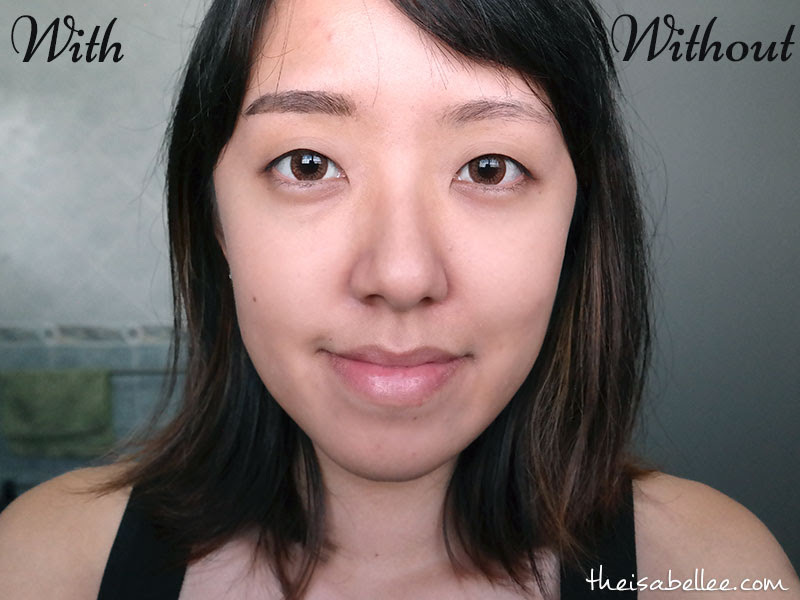 After I washed my face in the morning, the colour was real nice and natural! It had faded into a nice soft brown colour which now matched the Eyebrowcara. It wouldn't come off when I wiped it, washed and scrubbed my face. 72 hours - On my oily T zone it's only acceptable up to 72 hours. Compared to 7 hours and daily application, I LOVE IT! 96 hours - By the 4th day, it was visibly disappearing (click to enlarge). You could still touch up a bit to make it presentable but I would reapply the tint every 3 days. If you had applied a darker colour initially, it will last slightly longer. 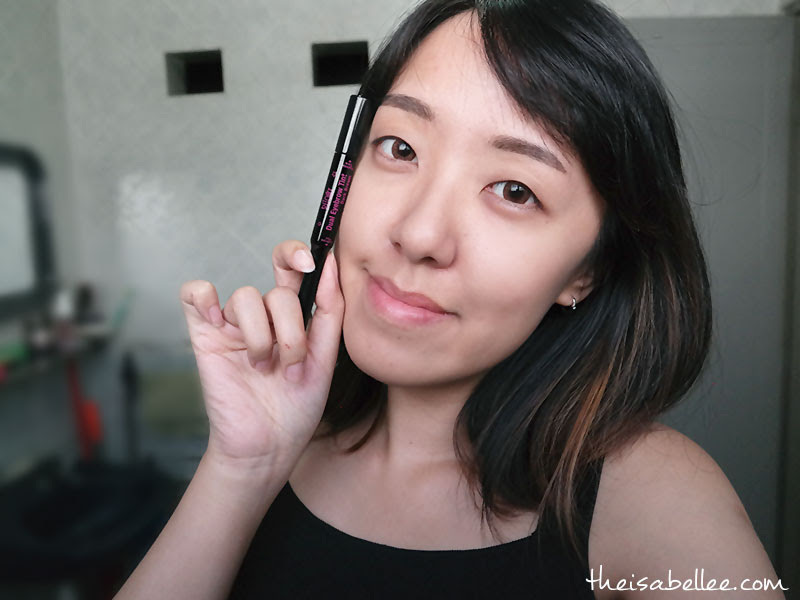 The Eyebrowcara is pretty easy to use but I honestly I'm too lazy to use it LOL I mean my eyebrows already have colour on them from the tint and my hair isn't blonde now so it's okay..
Wow, very detail review. 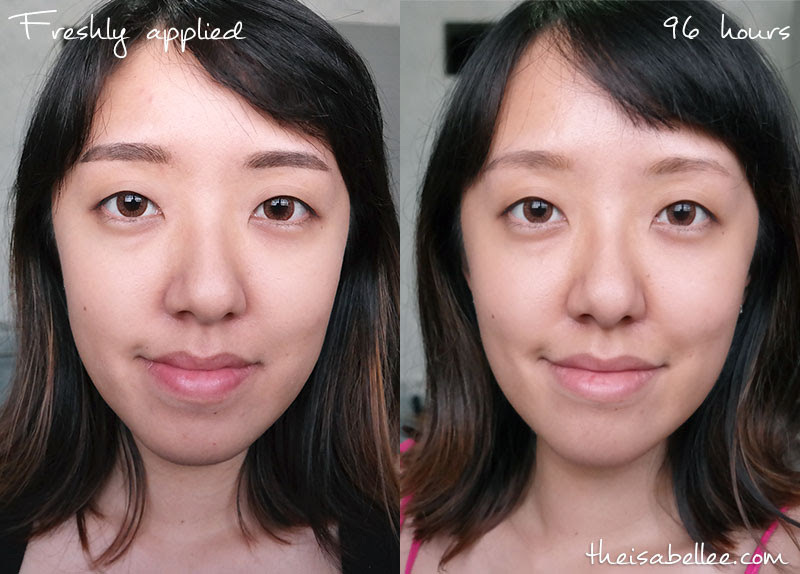 The Eyebrowcara is useful and look big different after applied it. Oh yes I need this. I literally have no eyebrows if I don't draw everyday. This could really save a lot of my time! OMG! That price really affordable and it's last longer ! Definitely must try this ! This is exactly what I needed. Love to get one on my next purchase. Usually I will draw with pensil, and it's bit hurt sometime. maybe I can use this one. Good review! Thanks for sharing! Hey I loved the way you've written and the details you've covered! I have tried a similar product but my eyebrows clumped together. Looks like I applied it incorrectly as yours seems to to turn out quite nice. I like that this brand stays more 24 hours after, will check it in my local store.